All homes currently listed for sale in the zip code 78056 as of 04/22/2019 are shown below. You can change the search criteria at any time by pressing the 'Change Search' button below. "Luxury & comfort abound on the highest two-acre elevation in the coveted Summit Ridge neighborhood. Exuding class and Southern charm, this home captivates with stunning panoramic views best enjoyed from the expansive outdoor living area. The finest finishes are displayed in the workmanship, and four bedrooms, each with en-suite bath, provide ultimate privacy for guests. 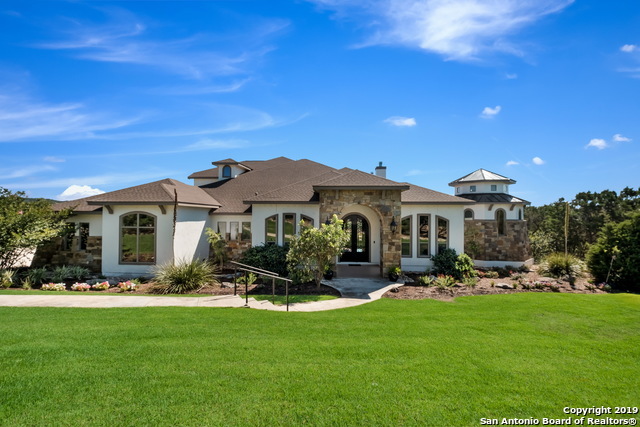 Best of all, this Hill Country retreat is just twenty minutes from the best of San Antonio! Seller will consider selling adjace"
"Get your piece of Texas & enjoy the Hill Country lifestyle on this incredible new construction located in highly desired gated community,Summit Ridge,just minutes away from Medina Lake,Loop 1604,Alamo Ranch Shopping Centers & Sea World.Fall in love with the smell of natural wood from its impressive,hand made,front double doors,barrel ceiling & exposed beams.Get captivated by the breathtaking views,charming fireside & exquisite chandeliers.Enjoy top of the line appliances in its Chef's kitchen. 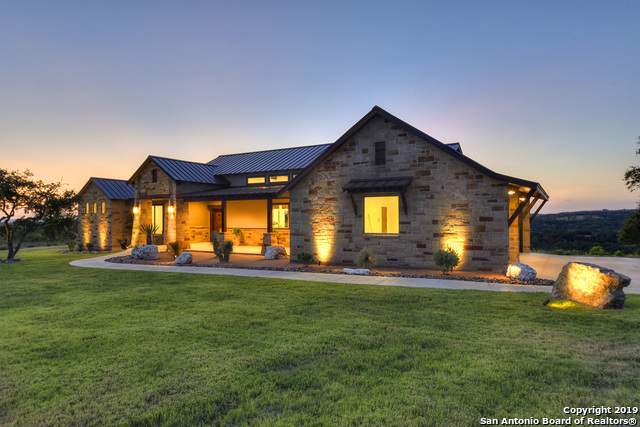 A"
"Custom home w/ breathtaking Hill Country views. Never lived in, this home was completed in Jan 2019, just days prior to the current home owners being called away on a great new job opportunity. Soaring ceilings, thoughtfully placed picture windows & graceful archways are a few of the gorgeous details. Featuring a gourmet island kitchen, built-in doggy condo, stunning master retreat and much more. Plumbed for outdoor kitchen. Landscaping allowance negotiable. Only 16 miles to 1604; 32 miles to d"
"David Voss Elegant Custom Home on 2+ acres with great views! Fabulous interiors boast rock wall accents, formal & casual dining, custom kitchen with large island, double ovens, hardwood floors. Luxe master retreat plus family & children's wing plus Media room and study- all open to the patio. 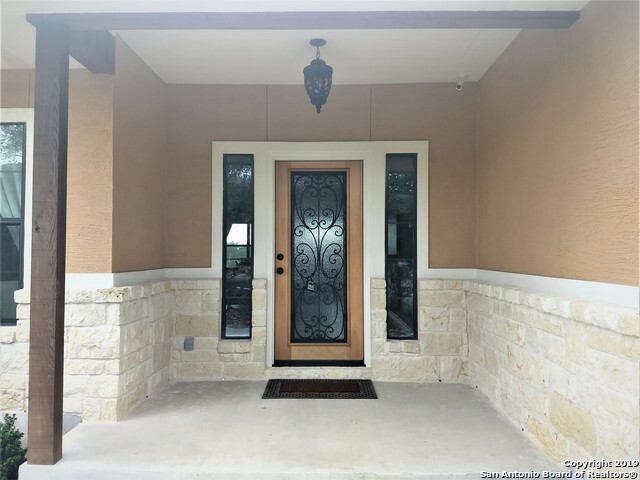 porches & outdoor kitchen/living with Hill Country breezes! Multi-generational living or option with secondary living/office quarters on the lower level has separate garage & entry. 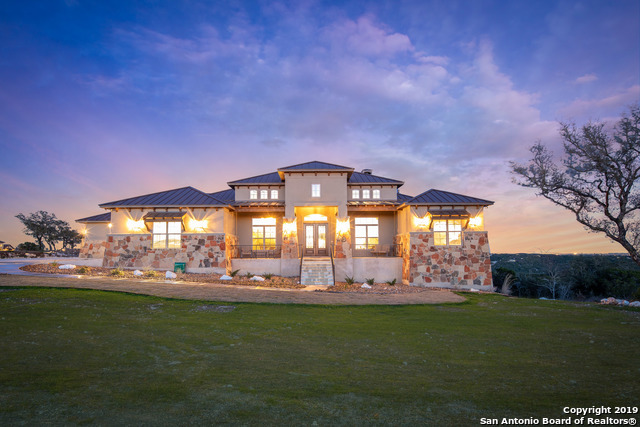 Medina Lake access p"
"This astonishing 5-bedroom 5.5-bathroom Hill Country Estate is located on 3.5 acres of rolling hills with breathtaking views of both the country and big city in the distance (San Antonio, Fireworks, and City lights)! 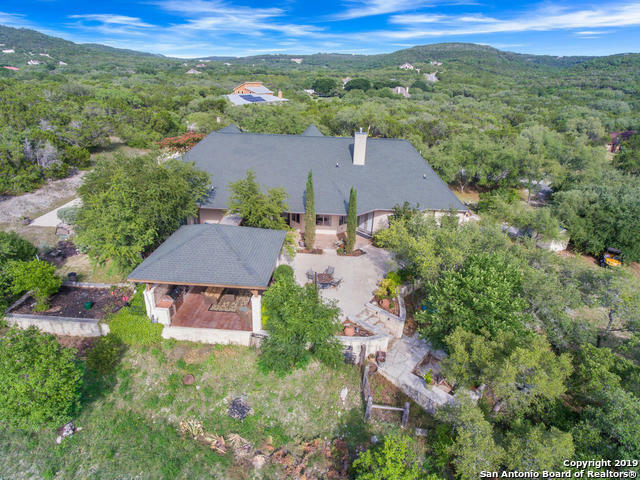 The home is located in the Laurel Canyon Ranch Subdivision on the South End of Medina Lake, in the heart of the Texas Hill Country." "Stunning home, situated on 2 ac with spectacular views. Home features 3 liv areas, study, media rm & 3 car garage. New Luxury Vinyl flooring in all liv areas. Gourmet kitchen has granite counters, custom cabinets & stainless appliances. Refrig & dishwasher are 1yr old. Mbdrm & spa-like bath has huge walk-in closet. Mbdrm & guest suite downstairs; 2 bdrms, game rm & media rm upstairs. Enjoy majestic outdoors with outdoor kitch, covered patio, deck, balcony & hot tub. 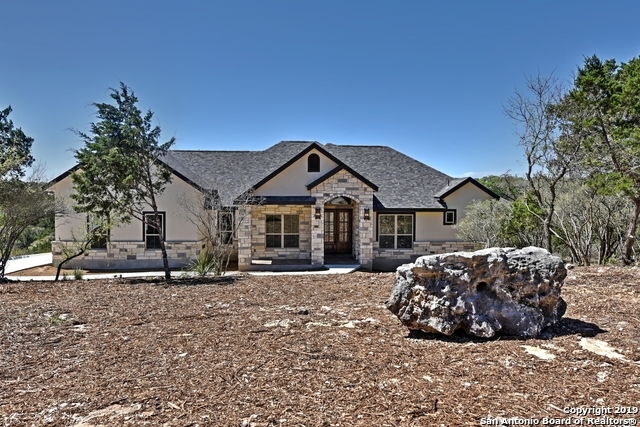 5 min to private Medina Lake "
"Dream of owning a custom home in the Hill Country with a Beautiful Lake View? This beautiful custom home built by Dave Voss in Dancing Bear Ranch will have it all, however you would like it! You have the opportunity to make changes as we are still in the prebuilding stage, build to suit! This plan features a walk out basement to take advantage of the natural slope of the land and the beautiful views! Gated community with a separate gated Lakefront Park including boat ramp, docks, and recreat"
"Welcome to your Dream Home! 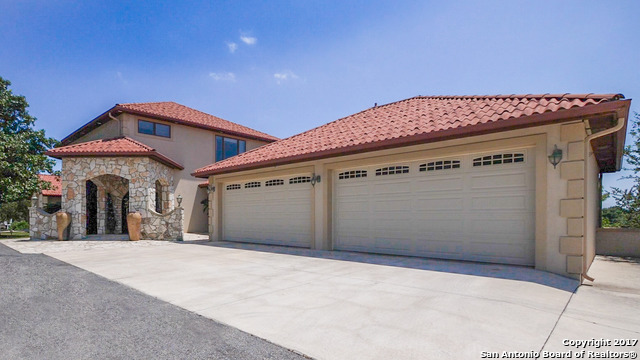 A gated/paved driveway leads to this beautiful 6 BR/4BA home. 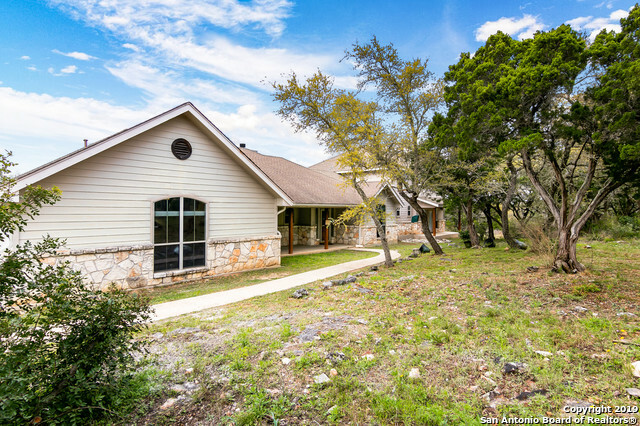 Perfectly located on 7.5 private acres with serene Hill Country views. Remodeled kitchen, stainless appliances & abundant counter space. Beautiful open layout accented w/exposed wood beams. Dual master suites downstairs, oversized BRS with walk-in closets, & tons of storage! Host friends & family in dual open living spaces that open to a massive back deck and pool. Don't forget 3rd car garage/wkshp & 2nd"
"BEAUTIFULLY MODERN WATERFRONT HOME ON THE DEEP WATERs OF MASTERSON'S POINT.ALL MASONRY HOME WITH FUN MODERN COLORS THROUGHOUT.NO CARPET. GRANITE COUNTERS.LOTS OF WINDOWS.3 BEDS 3 BATHS.3RD BEDROOM HAS BUILT IN BUNKS.GAME ROOM DOWN W/WET BAR.LOVELY DECK AND COVERED PATIO. OVERSIZED AIR CONDITIONED GARAGE.FENCED W/GATED ENTRY.SHARED DRIVEWAY & BOAT LAUNCH.FLOATING DOCK CONVEYS.WOW!!" 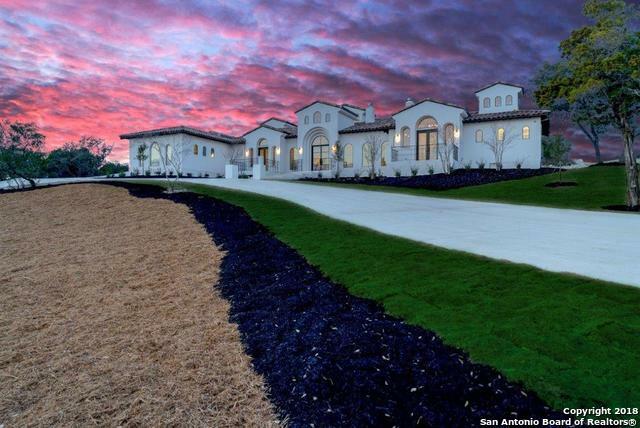 "Amazing home in the perfect Hill Country setting. 2+acres! 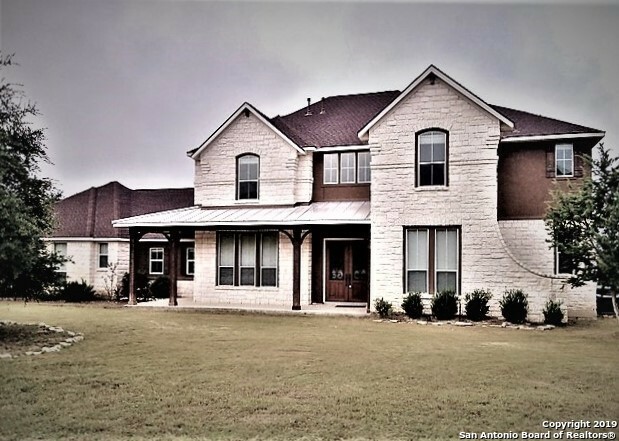 Grand 25 foot foyer.5 bed 4 bath,1st fl guest quarters w/ full bath & outdoor access, 1st fl Master w/ luxury bath,jetted tub,shower w/dual showerheads, large walk-in closest w/natural light.Grand ceilings in family room,floor-ceiling stone fireplace.Enormous Laundry, study,formal dining, gourmet kitchen, granite, double ovens,Game rm. balcony & beds 3-4-5 & 2 bath upstairs,100% masonry, 3 car garage. Adjoining Land Ava"
"OPEN HOUSE 3/30/19 - Exquisite custom estate tucked away on cul-de-sac amongst mature trees. Outdoor patio that backs up to nature preserve with views. Open concept living, stained concrete floors throughout. Tons of upgrades, crown molding, stone fplc, elegant lighting. Enticing kitchen offers granite, SS oven, built-in cooktop & walk-in pantry. Cheerful Brkfst. Mstr retreat, private home office, Bdrm 2&3 have jack & Jill bathroom, and 4th Bdrm has private full bath. Bonus rm above the garage w"
"Originally on market with tenants. Now VACANT and totally renovated plus recent addition w/ 1632 sf 3/2 w/ open kitchen/living room floor plan, AC, appliances, paint, tile, carpet, doors and windows. 17x48 concrete & wood deck. 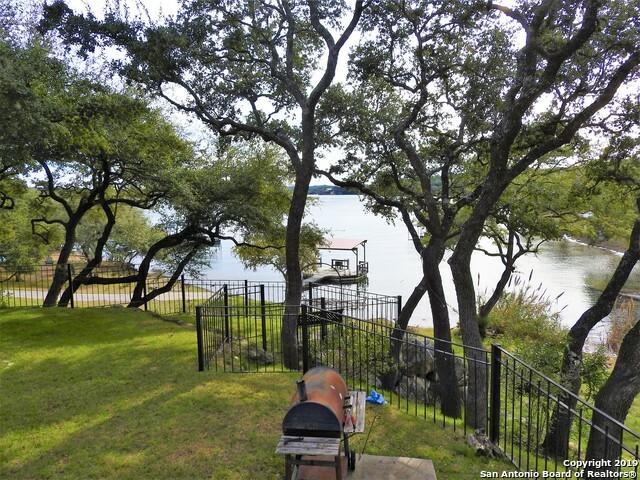 FAB Lake views w/deep deep water and 200' of waterfront w/steps to concrete landing & floating dock which conveys. 2.19 tree-studded acres. Cleared w/several additional building sites & gated gravel road entry. Seller highly motivated. New metal roof. Possible Seller F"
"This Custom Lime Stone Hill Country jewel was hit by lightning and has fire damage. The home IS SOLD AS IS NO REPAIRS WILL BE MADE. Price reflects damage. 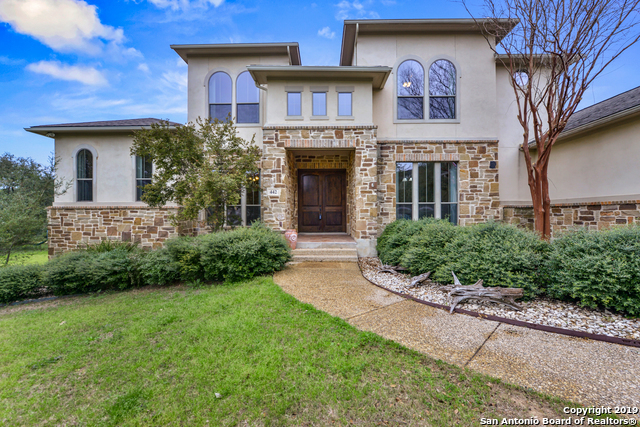 This custom home has stained concrete floors, kitchen has custom cabinets, granite counter tops. 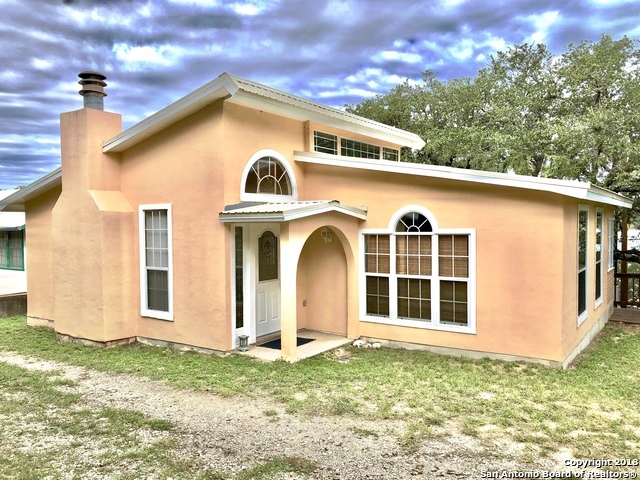 Living and office have a limestone fireplace, M/BR has a walk-in closet with washer/dryer hook-up, MB has garden jet tub, glass block shower. 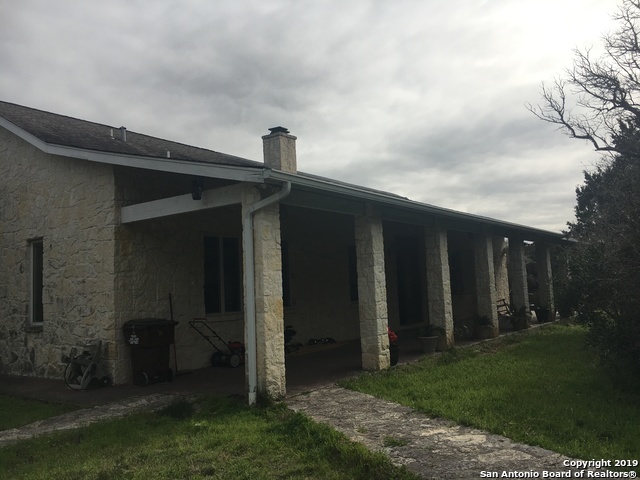 Full length patio on front of home, deck on back, views of the Hill Country and downtown SA. Garage apartm"
"A Nature Lovers Paradise! Where to start?...this home and land are the absolute perfect compliment to each-other.148 PR 1712 was custom built w/ attention to every detail. From the beautiful curb appeal to the stunning interior...this home & property will have you calling your movers.The interior of the home features lovely finish-outs. Double ovens, custom cabinets, open living,volume ceilings, over-sized walk-in shower, large laundry room,oversized garage to accomodate ski/fish boat. 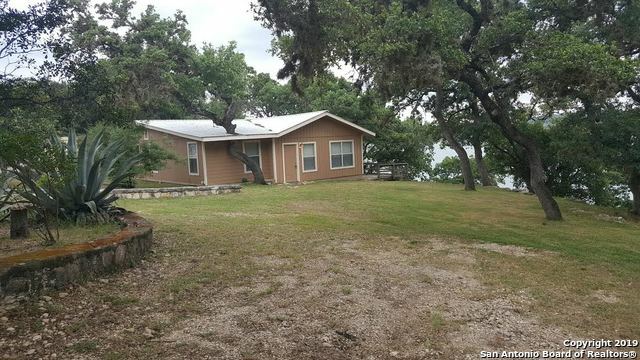 See virtu"
"Property Is Located Close to Medina Lake Damn. Has Decent Waterfront around 40 feet in depth in front of the house. Has some really nice decking down to the water. Has a holding tank and water is drawn from the lake. 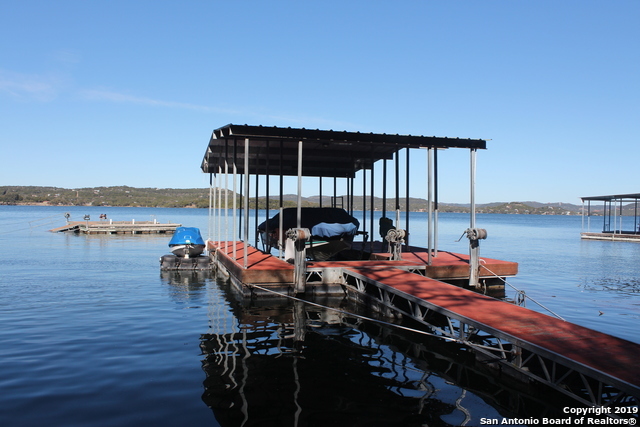 Overall It is a Great Lake Cabin to Enjoy Medina Lake." "Gorgeous Weekend GETAWAY Lake House out in Medina Lake. Enjoy lake view's throughout the house, skylight windows that naturally light up the house throughout the Day. Talk about ENERGY EFFICIENT! 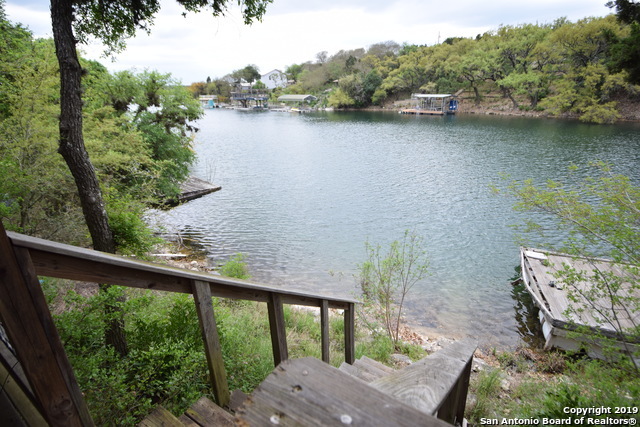 Steps away down the bluffs to enjoy what Medina Lake has to offer! Community boat ramp, lake water with pump and pressure system, and septic tank."